The feel this gi provides when you put it on is second to none. 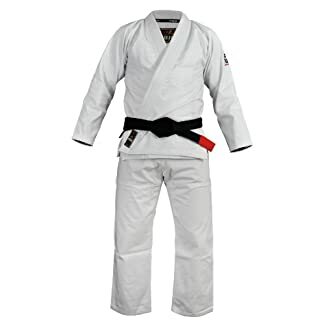 The perfect combination of softness and weight. 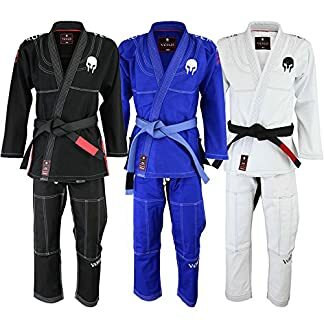 Ideal for all types of training and competition. 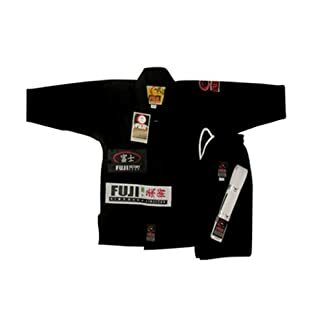 Gi Jacket is constructed with 550 gsm GOLD weave cotton with reinforced lapel and stress areas. 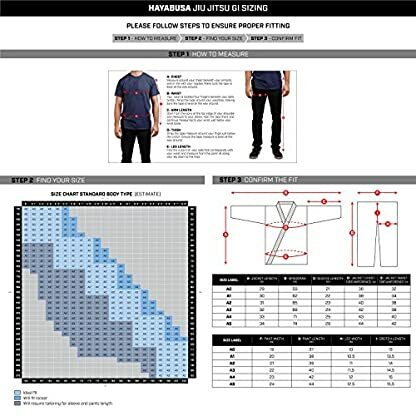 Gi pants are made with 12oz twill cotton blend with reinforced knees and stress areas. 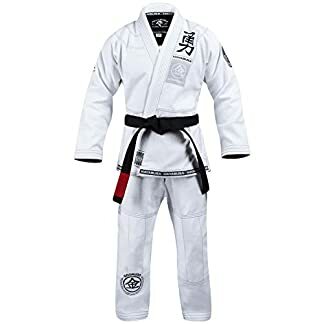 Designed to be the very best competition gi in existence, the Goorudo 3.0 Jiu Jitsu Gi is meticulously designed with an attention to detail like no other. Using the finest gold weave fabric and stitching, this performance gi outperforms any gi you have ever owned. The 550-gsm gold spec-weave fabric and twill cotton pants are strong and durable, and cut to allow superior freedom of movement. Reinforced stress areas throughout the jacket and pants resist pulling and tugging during combat. 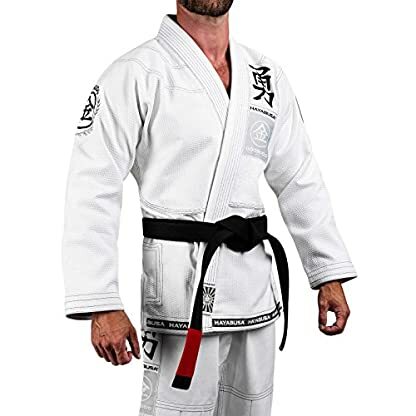 Eye catching patches and embroidery on the lapel, chest, shoulders, back and legs include the kanji for “Courage”, “Strength”, “Pride” and “Respect”, adding a bit of style to this high performance gi. 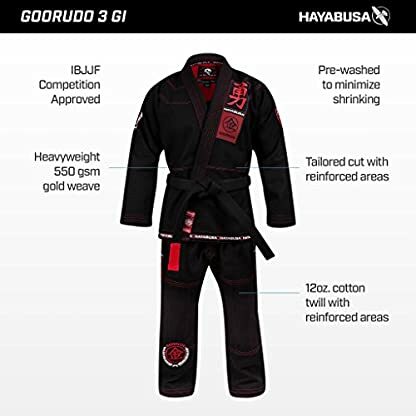 From fit and feel to performance and maneuverability, the Goorudo 3.0 Gi delivers flawless results. 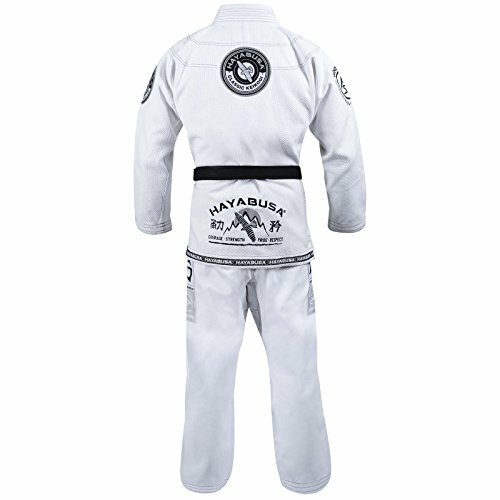 Patches and embroidery on lapel, chest, shoulders and back and legs. 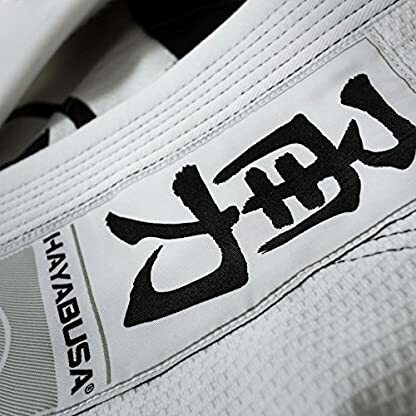 Adorned with the kanji for “Courage”, “Strength”, “Pride” and “Respect”. IBJJF CERTIFIED – 100% compliant with the International Brazilian Jiu-Jitsu Federation (IBJJF) and competition regulations.